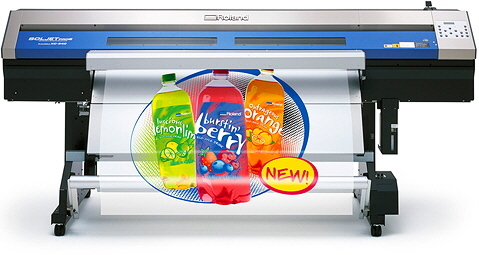 With our Roland SOLJET Pro large format printer/cutter, we can take your brilliant ideas and make them a reality - all in vibrant, high-resolution, gallery-like color. Whether promoting a product, or selling an idea, MH3 can help you get your message across in sizes up to 60 inches wide and as long as a roll of paper. Plus, the spectacular eight-color printing process produces continuous tone images that look great - even up close. Best of all, there are no limits to your imagination. We can print and cut your project on vinyl, canvas, Tyvek®, coated photo paper and much, much more. Indoor? Outdoor? We’ve got you covered. Posters, banners, lighted sign inserts, window stickers, car wraps - whatever you need. Let MH3 transform those big ideas into a big deal. Contact us now for your no obligation quote.